Minet Junior School had a very exciting day on Wednesday 13th March. The day began with a team of former Royal Marines working closely with children from across the year groups in a number of different ways. 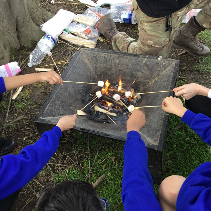 Children used equipment new to them to try out lots of activities including roasting marshmallows on a fire! 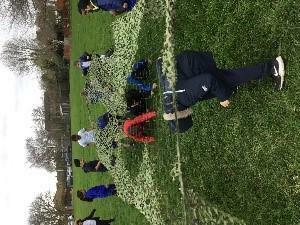 This outdoor learning gave the children an opportunity to act as positive role models through team building and physical activity.